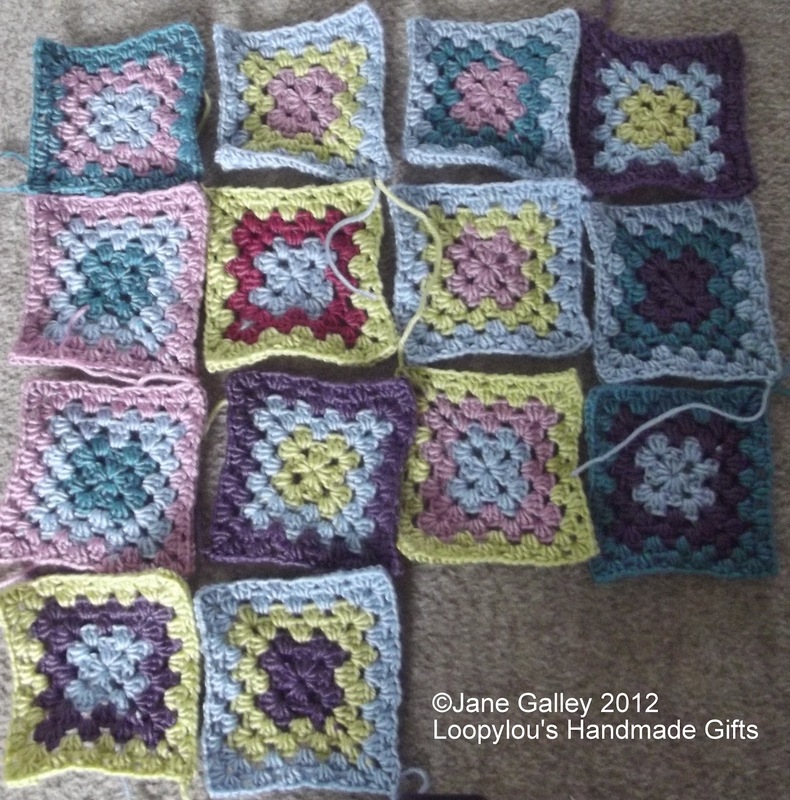 These granny squares just keep coming. This is the perfect project for relaxing. I've now been able to empty the carrier bag, and have about half a dozen little balls of yarn left. Now I can see the end, I'm hoping to get all the squares done this weekend so I can think about putting them altogether. It's surprising how much room these squares take up. It will become a great project! Thinking about the right place for each square takes me also a lot of time. Looking good. I know how much space squares or hexies take up. 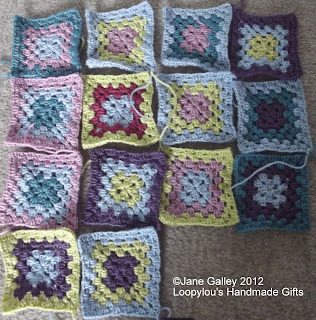 I do love granny squares. I can't believe I haven't made a GS blanket and every time I see yours I want to go buy yarn and a hook! More lovely grannies! Your blanket is going to be just beautiful!